Is Washington State About To Okay Public Long-Term Care Insurance? This article first appeared in Forbes on March 1, 2019. Read the original there. Washington State may soon approve the nation’s first publicly-funded long-term care insurance program. The measure, called the Long-Term Care Trust Act, would provide a maximum benefit of $36,500 for people who need assistance with at least three activities of daily living (ADLs) such as bathing, toileting, transferring, dressing, or eating. It would be funded with a payroll tax (or what supporters call a premium) of 0.58 percent of wages starting in 2022. The money would go into a trust fund so it could not be spent on other programs. State residents would be eligible for benefits if they have worked at least part-time over “the past 10 years without interruption of five or more consecutive years,” or worked three out of the past six years. The state would begin paying benefits in 2025. The state House of Representatives overwhelmingly passed the measure last week. A companion bill is pending in the Democratically-controlled Senate, where no vote has yet been scheduled. Democratic Governor Jay Inslee backs the measure. A similar bill died in the legislature last year after it was opposed by among others, AARP. While this year’s bill has changed only modestly from the earlier version, AARP now supports it. For the most part, the state would pay benefits directly to service providers such as certified home care aides, assisted living facilities, adult day centers, or nursing homes. Insurance also would cover supports such as respite care and home modification. And it would pay qualified family caregivers who take state-mandated training. Universal public long-term care insurance is widely available throughout the developed world. The US, however, finances long-term care mainly only through Medicaid–for those who are impoverished and have limited incomes. Public long-term care insurance models are built on one of two chassis. Catastrophic or back-end coverage would require consumers to pay for their own care for a period of time—say 1 to 3 years–but provide a lifetime benefit after that. 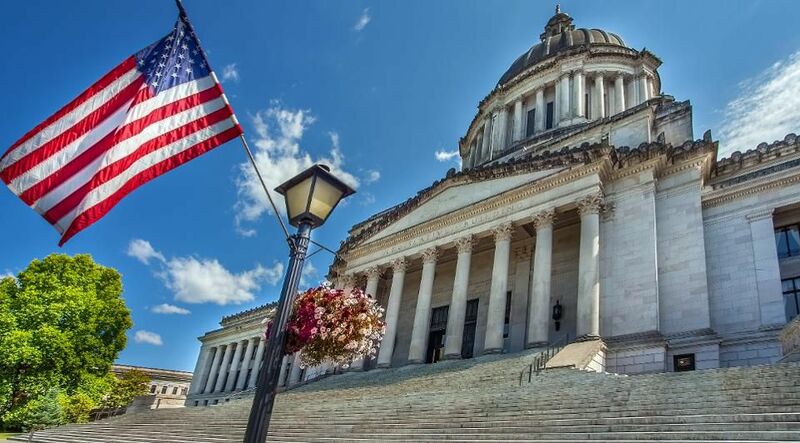 Front-end coverage, which Washington is considering, pays benefits once someone meets a functional limitation test but limits support to a fixed amount of time or money. Similarly, some public programs around the world pay beneficiaries cash to purchase services. Others pay service providers directly, and some allow beneficiaries a choice of benefits. Washington primarily would provide a service benefit. The Washington program would have a number of limitations. The benefit would cover only a fraction of the need of someone who needs a high level of care. It effectively would provide $100-a-day for a year, though the benefit could increase by up to 3 percent annually to reflect inflation. However, a senior with high support needs will spend a lifetime average of $147,000 out-of-pocket on long-term care. In Washington, someone could not receive benefits until they need assistance with three ADLs. Private long-term care insurance generally requires assistance with only two ADLs, though Washington uses a broader definition of functional limitations. Also, unlike private long-term care insurance, the program would not cover someone with severe cognitive impairment unless they meet the three ADL test. Finally, its requirement that people work and pay the payroll tax before becoming eligible would exclude older adults who already are retired and younger people with severe disabilities who are unable to work. Still, the Washington program would be the first of its kind in the US. Hawaii’s Kupuna Caregivers Program provides a modest voucher that working family caregivers of older adults can use to purchase some supports and services for loved ones living at home. Other states, including Minnesota, are considering their own alternatives. Last year, voters in Maine overwhelmingly rejected a ballot initiative aimed at supporting those who need home care. In Congress, Rep. Frank Pallone (D-NJ) proposed a public catastrophic long-care insurance program last year. Pallone, who now chairs the House Energy and Commerce Committee, is in a strong position to push his measure, However, it appears to be taking a back seat to broader health insurance and drug pricing issues. Increasingly, state and federal policymakers are aware of the need for a public program to help families cope with the huge expense of long-term care. The roadblock: The unwillingness of lawmakers and voters to raise taxes to pay for a public program. Now, Washington State may be about to take the leap. We are about to learn whether the public—even in a blue state– will support a tax hike to finance modest long-term supports and services. And if the plan becomes law we will gather valuable evidence about how a Washington-like front-end model works.